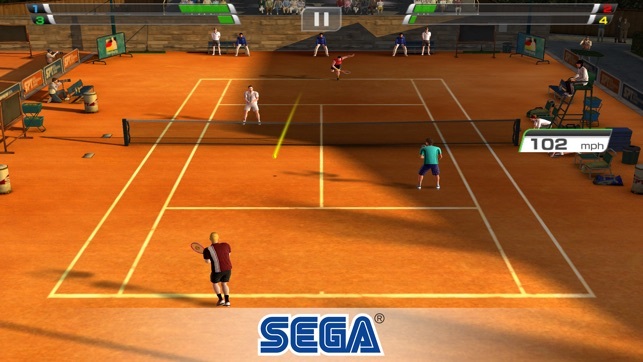 This game may include "Interest Based Ads" (please see http://www.sega.com/mprivacy#3IBADiscolure for more information)​ and may collect "Precise Location Data" ​(please see http://www.sega.com/mprivacy#5LocationDataDisclosure ​for more information)​. Strawberries and cream, almost as tasty as these bug fixes! First, for those of you having issues beating Theron Tenniele, here's a tip, don't hit to his forehand...at all. I only hit to his forehand if it's going to be a winner, otherwise I hit EVERYTHING to his backhand. 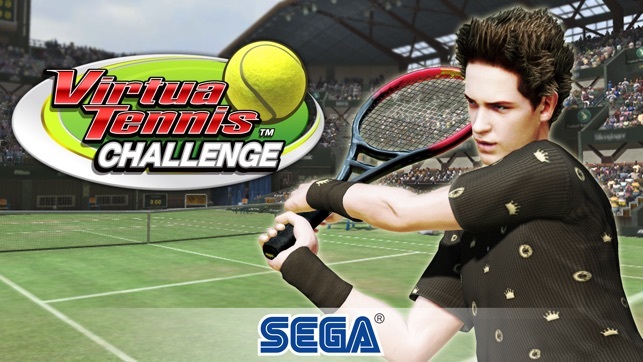 I've been playing this game for some time now, and It's definitely one of the better tennis games for iPad. I use the on screen buttons for controls, but find often during a match that the buttons are way too small. I end up pressing the space between the buttons quite often. Would be awesome if those were scaleable so we could make them bigger or smaller. Also as some others have pointed out, it's almost comical how the game works when playing Theron Tenniele. It never fails, first set I beat him 6-0, and then in the second set I'm up 4-0 or 5-0 and then the game gets erratic..my player doesn't hit the ball as hard anymore, he runs erratically around the court, doesn't hit the ball at all or some other odd behavior. He usually wins 2, 3, 4 or 5 games in a row because of this before I weather the storm. I always know around game 4 of the second set, I will have a fight my hands because getting to and hitting the ball becomes an obstacle, and it has nothing to do with the way the Theron Tenniele is playing. If the player is going to beat me, let the player beat me, don't make my player glitch, so now I have to fight the software and the player. Other than that, the game is good. Hi developers. Any plans to keep your buyers engaged and to bring many new ones? It IS the best tennis app that I know, but by now it needs a revision. How about doing something about erasing the stats of those cheaters and hackers who have billions of points (which are they exactly the same, btw??) Please. Any maintenance at all out there? I give it 3 stars for now because of that, and also because you changed the sideway movement of the players to frontal, which, unless you’re chasing a fast ball from the opposite side of the court, is just not natural, sorry to say... Also, how about adding new players, and creating women’s tournaments as well? 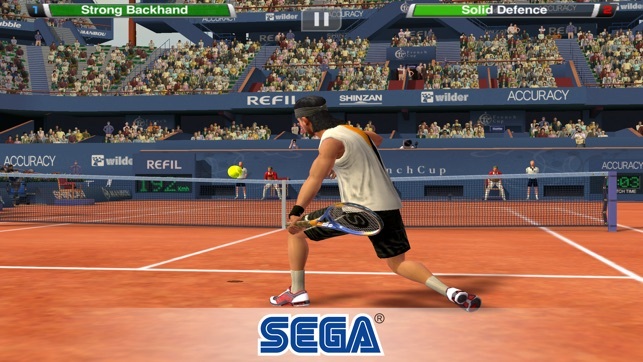 Will give it 5 again when you do the much needed renovations... As a tennis player in real life, I enjoy the relaxation that the app gives, but it’s getting tired, you guys........ I can see many people who were always there have left... My 3 cents, but also constructive criticism that will bring you more buyers! Hi Terris07, if you’ve purchased the app before, you can use “Restore Purchases” in Options to remove all non-SEGA ads and restore offline play. You may need to restart the app for this to take effect. If you have any further issues, please contact us at help@sega.net and we’ll investigate. 1) Theron Tenniel has been given a HUGE advantage by the developers. He is almost comically hard to beat, which can feel good when you outwit him and reach the top levels, but very frustrating when he goes on a 9 win tear against you by making shots that your player can’t even begin to achieve. It’s just uncanny how fast he can reach the opposite side of the court when you slam a shot straight to the corner. Come on Sega, I get that you had to make him THE GUY, but it’s almost silly how easily he defies physics. 2) You’ll be pestered to buy the “ad free” version for $2.99. 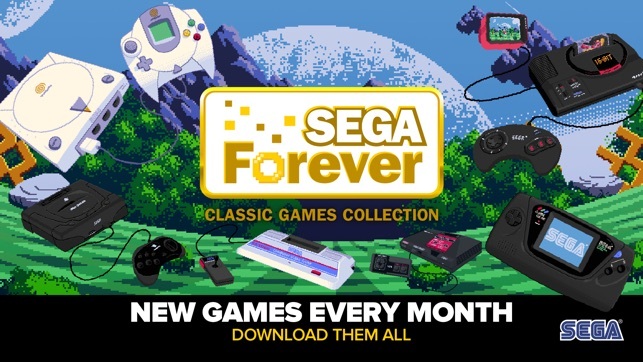 When you finally break down and do it, you’ll be pestered by ads for other Sega games that don’t allow you to close them out without clicking them which only then opens another box to download said game. Shame on you Sega. I’m not downloading anymore of your games thanks to this little con. 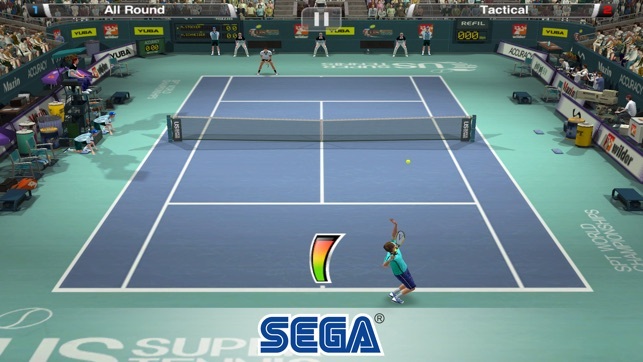 © SEGA, the SEGA logo, VIRTUA TENNIS and VIRTUA TENNIS CHALLENGE are either registered trade marks or trade marks of SEGA Holdings Co., Ltd. or its affiliates. All rights reserved.